Canada and the United States share a border that spans several of the world’s major watersheds and encompasses the largest reserves of fresh water on the planet. The border that separates these two neighbors is political, but the natural environment is a matter of common concern. In recent years, dramatic changes have taken place in the political and environmental landscapes that shape the conversations, possibilities, and processes associated with the management of this shared interest. More than ever, Indigenous populations are recognized to be a necessary part of negotiations and decision-making regarding matters ranging from pipelines to the protection of endangered species’ habitats. Globalization and, in particular, the continuing elaboration of a transnational conversation and architecture for addressing issues related to climate change have ramifications for Canada-US transboundary issues. 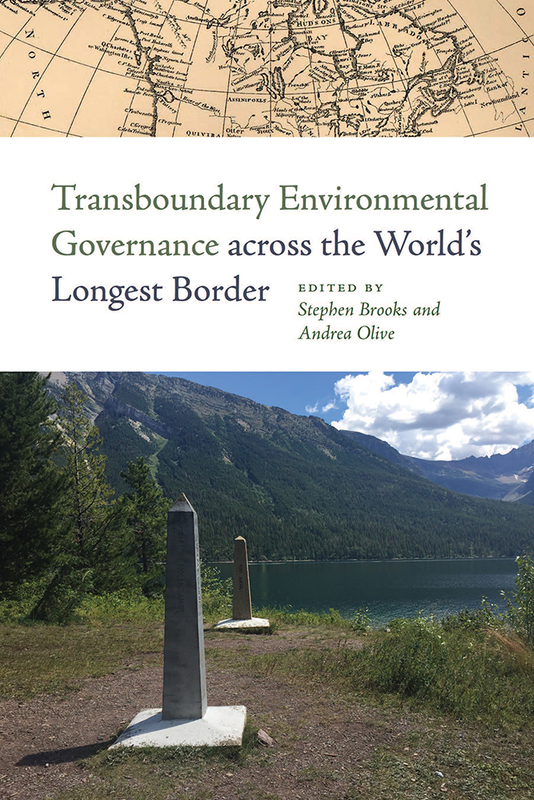 The contributors to this volume examine the state of the existing transboundary relationship between Canada and the United States, including the governance structures and processes, the environmental impacts and adequacy of these structures and processes, and the opportunities and obstacles that exist for reform and improved outcomes. STEPHEN BROOKS is Professor of Political Science at the University of Windsor and also teaches at the Institut d'études politiques de Lille. He is the author of Canadian Democracy, 8th edition, and Anti-Americanism and the Limits of Public Diplomacy. ANDREA OLIVE is an Associate Professor of Political Science and Geography at the University of Toronto. She is the author of Land, Stewardship, and Legitimacy and The Canadian Environment in Political Context.